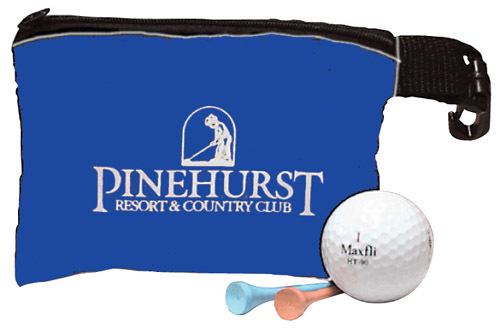 The Deluxe Golf Accessory Kit is an ideal giveaway for tournament sponsorships. This handy kit is made out of 200 denier nylon materials and includes sunscreen, aspirin, tees, ball markers, divot tool and an end handle clip. For your convenience the item comes in a wide variety of colors for you to select the one that suits your marketing needs. Make your investment complete with a message or company logo prominently featured.